Designed for India, this LG 80 cm (32) LED TV offers multiple regional languages and a Bollywood mode so you can experience the true essence of Indian cinema the way it is meant to be. This TV from LG sports a one-frame metallic design that complements well with modern interiors and enhances the aesthetic of your living room. The slim depth and narrow bezel design minimize the space between the bezel and screen, making this TV look sleek and stylish. It also has a stylish stand that is sure to grab everyone's attention. For clear, consistent, and sturdy screens, this TV uses Advanced IPS Panel. The life-like colors, wide viewing angle, blur-free clarity, and stable screen make viewing a delight. Experience images come alive on the 80 cm (32) TV. 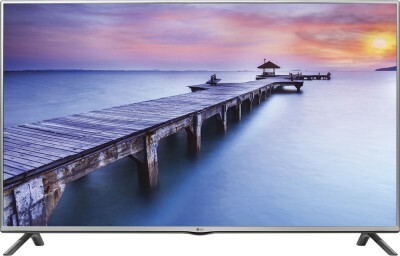 It features an LED backlit display that delivers crystal-clear images in life-like colors. The Triple XD engine of this TV delivers superior picture quality and performance so your TV shows and movies appear in sheer perfection of color, clarity, and contrast. This TV has a bunch of inbuilt games that are suitable for all age groups - Space Wars, Cookie Cookie, and Egg Catcher. So when you are bored at home just pick the remote and play a game or two. This TV is completely protected, thanks to a solid IPS panel, and lightning, humidity, dust, and summer heat protection. It can also work without a stabilizer. Enjoy realistic three-dimensional sound when you tune the sound settings to Bollywood Mode. This mode automatically selects the right EQ for the Indian movie content. The menu and content can be displayed in regional languages - Hindi, Bengali, Telugu, Tamil, Marathi, Urdu, Kannada, Malayalam, Punjabi, and Assamese. Watch movie trailers from the Internet in DivX and DivX HD formats as this LED TV is DivX certified. This TV helps reduce power consumption as it comes with a backlight control that automatically adjusts the brightness and a screen-off function that turns the display off while playing only audio. The Standby Mode Zero function consumes zero electricity by allowing the TV to hibernate effectively. 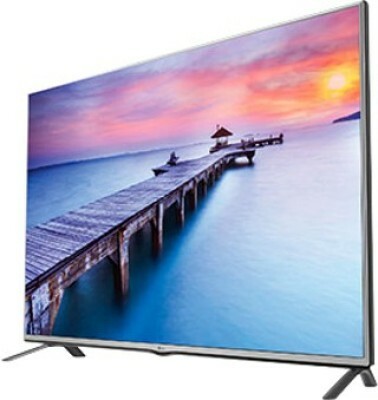 This 80 cm (32) television has an Eco Motion Sensor that reduces power consumption by slightly adjusting the brightness of the screen to the speed of the picture.